Dr. Gerri Competiello has experience that has given her tremendous insight into the latest advancements in hearing amplification. Gerri Competiello earned her Bachelors of Arts in Speech Pathology and Audiology, and Masters of Arts in Audiology at Adelphi University in New York. Dr. Competiello earned her Doctor of Audiology at Salus University, Elkins Park Pennsyvania. She successfully completed her Clinical Fellowship at the Lennox Hill Cochlear Implant Center in New York City. 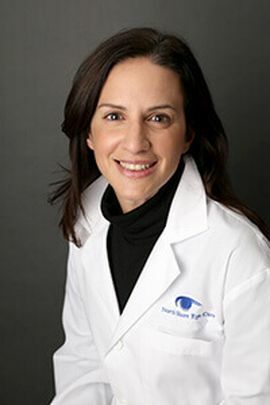 She has trained at prestigious institutions with both world renowned Otolaryngologists and Audiologists at The Manhattan Eye, Ear and Throat Hospital, and The New York Eye and Ear Infirmary. She has also worked as an clinical trainer for one of the leading hearing aid manufacturers, giving her tremendous insight to the latest approaches in hearing amplification. Gerri holds her fellow with the American Academy of Audiology and is licensed by New York State in Audiology and Hearing Aid Dispensing. Dr. Competiello has supervised and trained many graduate students, Clinical Fellow candidates, and hearing aid dispensers during her career. Currently, she is an Associate Professor of Audiology at Long Island Consortium, St. Johns University campus, New York.